Not-so-traditional wedding dress: If you are looking to get away from the traditional white for your wedding dress, an Easter wedding is the perfect time to do it. Blue, lemon, mint or pink are all colorful, fashionable and trendy options that will fit in particularly well with the season. Creativity options: Colorful Easter eggs will make for great table adornment at the reception, and eggs painted with the couple’s name and wedding date on them would make fitting and memorable wedding favors as well. Keep the kids occupied: As special as the day will be for the lucky couple, keeping the children at a wedding occupied can be a challenging task. At an Easter wedding, you will find that it won’t be nearly as difficult keeping the young ones entertained with Easter-themed activities and crafts. Enjoy the spring weather: One of the best things about an Easter wedding is that it takes place during spring, which means that you will be able to enjoy fresh air, warm weather and longer daylight hours if you opt for an outdoor wedding. Next-level photography: With the agreeable weather and longer days, you will also have the pleasure of taking stunning wedding photos under the bright spring sun. Any photos you take as the sun sets will be equally as remarkable. Vibrant color options: Because there are so many colors that are popular during the Easter holiday season, the color scheme options for your wedding will be endless. Wedding cake: Since there are so many different Easter themes you can play around with, no matter what choices you make for your Easter-themed wedding cake, it will surely open up your options unlike any other time of year. Springtime flowers: Although you can get fresh flowers year-round, there is nothing quite like the beauty that is a bouquet or floral arrangement that is prepared with burgeoning, fresh spring flowers. Fresh food: With many fruits and vegetables being in season during the spring, locating and sourcing food will be a cost-effective endeavor, which will certainly help with your overall wedding budget. Long weekend: As an added bonus, the Easter holiday is often treated as an extended weekend each year, giving everyone extra time off of work to recover from the festivities. That means there is no reason why the party and celebration can’t last all night long. 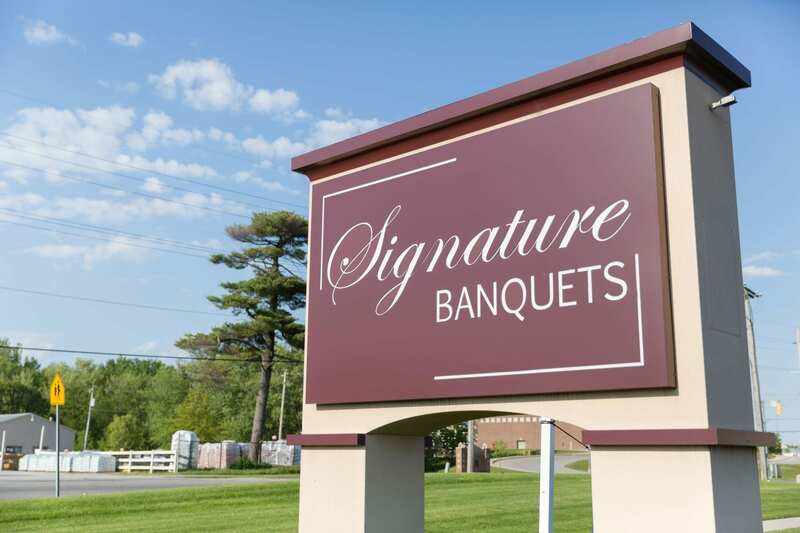 The team at Signature Banquets has over 30 years of experience helping happy couples and families create lasting memories, and if you have been thinking about an Easter wedding, we’d love to help! Our wedding planners in Northwest Indiana are dedicated to making sure that you have what you need your special day, so give us a call today to learn about the many services we can offer you!